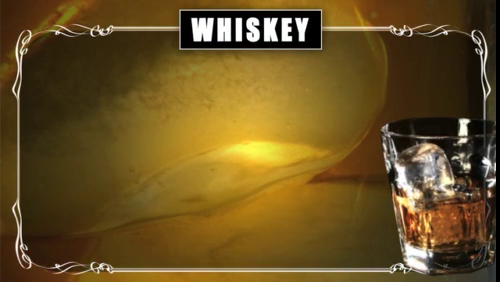 Whiskey (c. 2010) - Adam Wiesen is a multimedia designer in New York City. Occasionally, I'm asked to build something using outside footage. In this instance, it was a slate for a lifestyle segment, obviously focused on whiskey. The footage is all HD from iStockphoto.com, who have a really nice selection. Not cheap, but this is why God invented corporate reimbursement. I hate the sloppy masking job I did on the glass of whiskey, but the footage (and deadline) didn't permit the kind of work I wanted to do with it. Still, not terrible for 40 minutes of work.